Approximate reading time: 8 min. 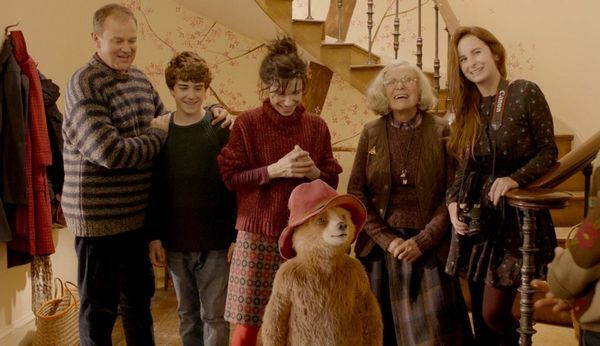 Review of the film Paddington 2 (2017) of the project What is good. Children’s film industry, both in Russia and in the West, is going through hard times. The Hollywood wave of a low-grade humor and outright vulgarity was “a must” in a so-called entertainment film format for adults and then percolated into storylines for kids’ movies. Under the pretext of increased commercialization and better promotion of movies for kids in a ‘family format’(that should equally attract both children and adults and thus increase the potential audience), unchildish jokes, themes and scenes were added into kids’ films and cartoons. 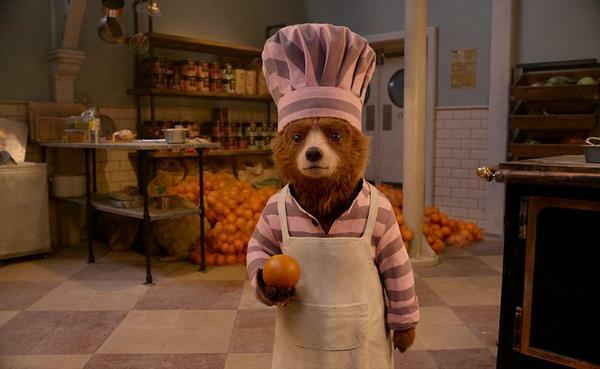 As a result, even reviews on cartoons like “Minions” or the recent Disney edition of “Beauty and the Beast” should be classified as R. But in every rule there’s an exception, and the new story about Paddington bear is one of them. This fictional story is indeed for children in terms of both form and content. It has a sweet and absolutely honest in any situation lead character, a lot of good humor, a simple story developed specifically for children and some exaggeration of negative characters that makes their adverse character traits sufficiently visible and understandable for the young viewer. When Paddington is only a few coins away from his cherished dream, he witnesses a robbery of an antique shop. The thief steals that exact pop-up book and the bear, while trying to stop him, gets into police’ hands and becomes the main suspect. Now Paddington not only has to clear up his reputation and find the stolen book but also go through prison sentence, re-educate several criminals and unravel the mystery of the old book. On this path he once again proves to himself and to the viewers that even the most difficult situation has a way out if you believe in kindness of surrounding you people, stay positive and are ready to improvise. The lead character has his special charm given by the fact that, while trying to restore justice and punish the robbers, he relies not on his force but rather on his ingenuity and loyal friends. As Henry Brown says in one of the episodes: Paddington looks for the good in all of us and somehow finds it, that’s why he has so many friends. And it is indeed true. Even those, who have recently seen him as their opponent and ill-wisher, are imbued with his kindness. As a matter of fact, this film and its release has one peculiarity that could potentially explain the appearance of the sequel and exclusively positive reviews made by overwhelming majority of official critics who usually do not favor these kinds of movies. Since all scenes take place in London and in a typical British family, the film creates an idealized image of the British capital in particular and the Anglo-Saxon world in general. That said, this is clearly not a random background message of the Paddington story but rather deliberately laid behind by the creators. The book, which is in the spotlight of the whole storyline, is devoted to the landmarks of London, and the main dream of the bear is not only to give it to his aunt as a gift but also invite her for a visit to her favorite city. The theme of the ‘wonderful British capital’ runs through the entire plot and makes some kind of a loop: it all starts with the scene where aunt Lucy plans her trip to the most marvelous city in the world – London, which gets cancelled. Then during the entire film, the little bear dreams about giving his aunt a book with beautiful illustrations of London landmarks. The first acquaintance of the viewer with the book is accompanied by a short cartoon showing Big Ben and other famous sights of the British capital where you can constantly hear about how nice and friendly people live here and how everything is beautiful and sweet in this city. The whole movie revolves around this book, and the characters go around the most beautiful places of London. In the end of the story, the cherished dream of aunt Lucy comes true and she goes to the capital to see her nephew. And actually, the name that the bear got is one of the oldest names of London neighborhoods. Today the railway and metro station are called Paddington. Thus, it is worth giving proper respect to the script writers, as they managed to create not only a beautiful and kind-hearted fairytale, but also a good agitation material about “the most wonderful city in the world”. Could we blame them for this? No, more likely it is an example of how you should actually position and promote your country and its capital in films. Is it an obstacle to show this movie to your children? In the situation of deficit of good films, it is better to not miss the opportunity to see one. You could always explain them that London is not only a place where British ladies and gentlemen live but also an asylum for runaway oligarchs and one of the world financial centers of the modern anti-human capitalist system. One day, when the time comes… And now let kids enjoy the fairytale about good Paddington bear who always wins and never use primitive force. One scene mentioning Champaign which becomes a cause of a negative incident. There are several scenes with chases and fights, which fully correspond to the category 6+, and one unaesthetic scene of the hygienic procedures of the bear which is clearly unnecessary. The film “Paddington 2”, using the example of the main character, teaches young viewers to value their reputation, apply ingenuity and stamina in difficult situations, believe in people’s kindness, try yourself in various jobs, help others and never hang down your head. At the same time, the movie forms an idealized image of London as of the best and nice city (this theme runs through the entire plot). If your child is old enough, then perhaps you could share an opposite side of the British capital with him.